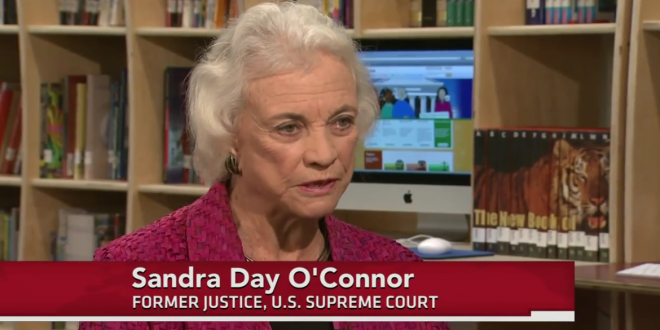 Sandra Day O'Connor Reveals Dementia Diagnosis - Joe.My.God. Sandra Day O’Connor, the first woman to have served on the Supreme Court, announced Tuesday that she was diagnosed with the beginning stages of dementia “some time ago,” and likely has Alzheimer’s disease. O’Connor was President Ronald Reagan’s first nominee to the high court. She served from 1981 to 2006 and was a key swing vote, often bridging the gap between the court’s conservatives and liberals. Her retirement while still in good health at age 75 was rare for Supreme Court justices, but she did it to care for her husband, John, who had Alzheimer’s disease at the time. He died in 2009, and she continued to be active in raising awareness about the condition.